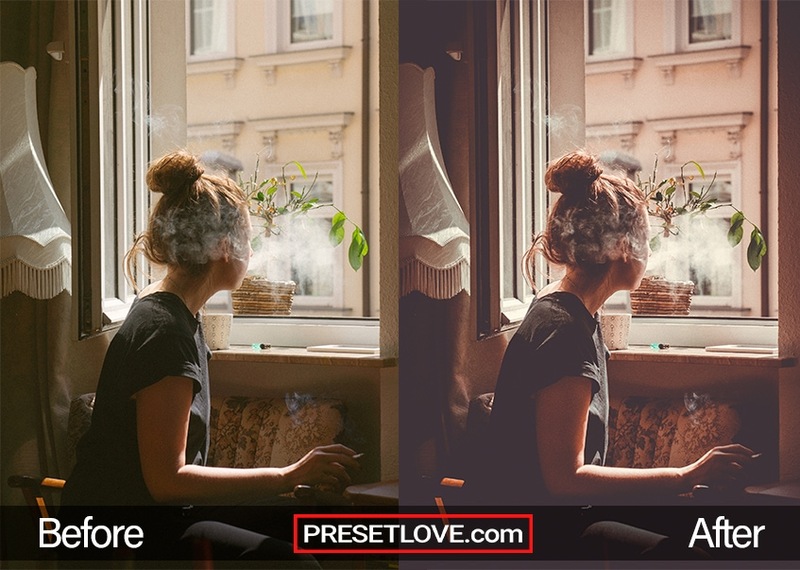 Chocolate Matte is a free Lightroom preset that adds a timeless feel to your photos without reducing clarity. It uniquely brings out the warmth of the captured moment, making even the simplest shot look like a cinematic scene. A warm subtle haze blends with the images for a crisp vintage look. Shadows are heightened with a slight violet hue to add depth to the photo. The folds of the girl's clothes become more vivid and the textures are sharper. Overall clarity is increased, which is most prominent in the framed image of the shoes. All these features are blended by autumn-like tones. The temperature of this preset is primarily warm. 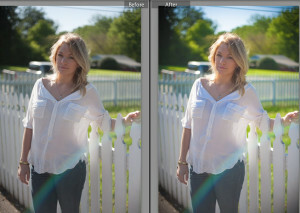 In the After photo above, the subject becomes emphasized with some vignetting. Lighting is also evened out throughout the image. Even with some noise reduction, the details remain sharp: see the smoke covering the girl's face and the loose strands of her hair. 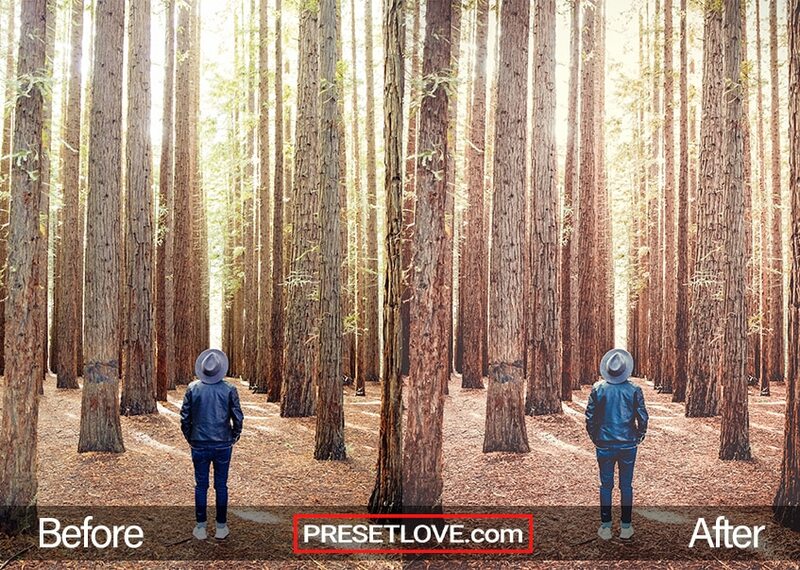 This preset can also be used to add a dramatic and pensive mood to images. It dramatically subdues lighting and tans skin tones. 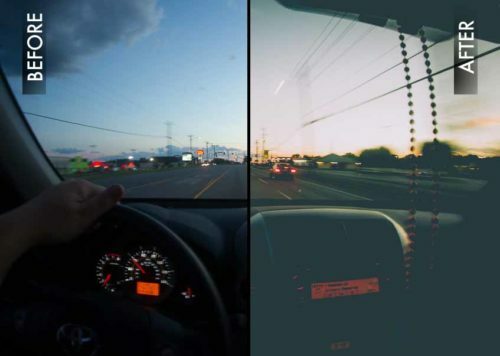 With saturation and highlights muted, shadows tend to add more depth. You can see this clearly in the folds of the girl's clothes, and the details of the woodwork behind her. 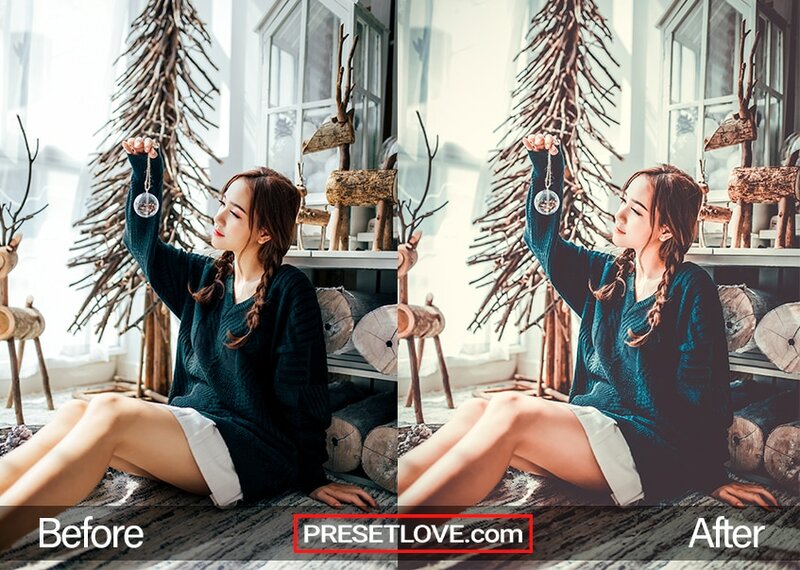 Both exposure and color luminance are increased to brighten photos and give them a soft glow. This is effective for outdoor shots where harsh lights or shadows could ruin the mood that you want to achieve. 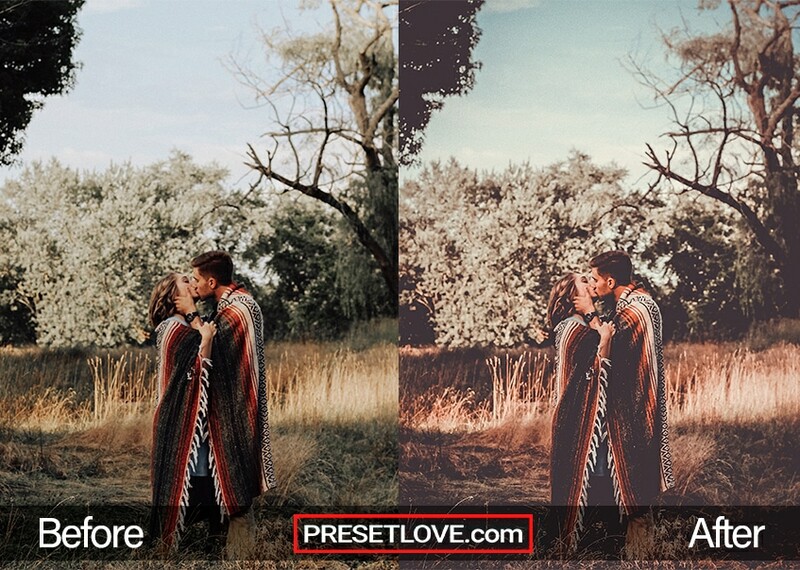 The nostalgic motif of this preset complements a scene's romantic mood. The dominant orange and brown hues, along with crisp bold details, make this free Chocolate Matte preset suitable for nature shots. The trees in the After photo become more vivid, and the trunks' textures are sharper, almost palpable. To balance out the starkness, blacks are slightly decreased as well. This is visible on the jacket of the subject above. You can absolutely use Chocolate Matte as is, right out of the box. 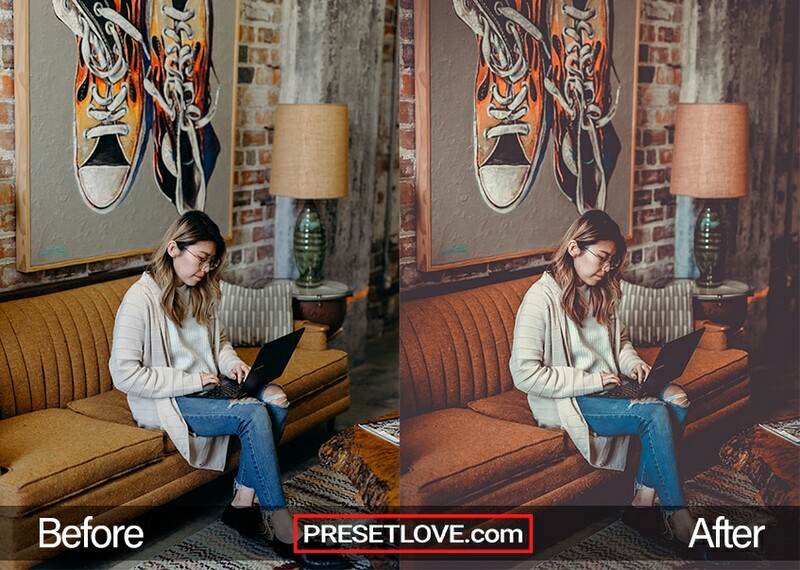 With any preset, you might need to make adjustments to accommodate your specific camera, settings, lighting, and subject matter.